Visit our Fastcooler website by US Cooler® to get more information and an instant quote today! 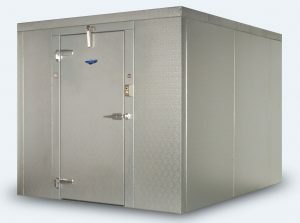 Looking to purchase a brand new walk-in cooler or freezer? 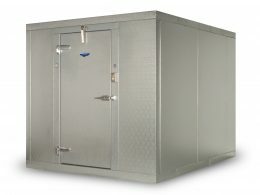 We partner with US Cooler® to provide you with the highest quality and dependable walk-in coolers or freezers available! We can provide an instant quote for standard size walk-in coolers and freezers via our Fastcooler website in conjunction with US Cooler, or we can get a custom quote on any size, option or configuration! Our fully certified technicians can provide full installation and setup on remote and self contained walk-in coolers and freezers. Fastcooler is U.S. Cooler’s® Quick Ship Program with in-stock models shipping within 3-5 business days. Fastcooler models are made with the same precision and high-quality materials, but are designed to provide a quick delivery with a low cost.